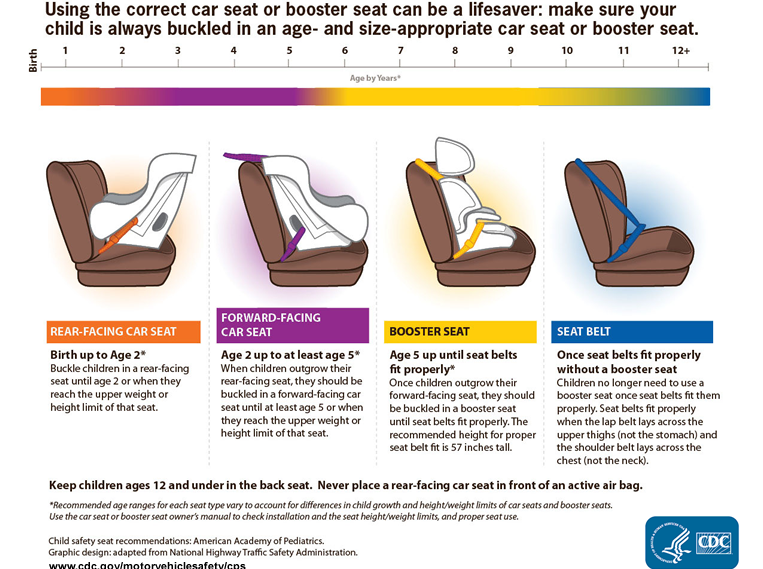 Is Your Child’s Safety Seat Installed Correctly? Is Your Child’s Car Seat Installed Correctly? A recent state-run safety check of car seats in New York found that only 12% of infant and child car seats were installed correctly. While Bakersfield is not NYC, it is safe to assume these results are similar across the country – and they should act as inspiration for parents throughout California to recheck their children’s seats before the busy holiday travel season. The CDC recommends that all children under the age of 12 be in a car seat or booster. Studies have shown that proper use of these safety products reduces fatalities in car accidents by 71% for infants and 54% for older children. However, national safety checks have found that only three out of every ten seats are installed correctly. If you need help, the California Highway Patrol offers both inspection and installation services free of charge. Tragically, even properly installed car seats cannot always prevent a child from being injured in an auto accident. If your child has been injured, Bakersfield car accident lawyer Mickey Fine is here to help. Please contact us online or call (661) 333-3333 today to schedule your free consultation at our Bakersfield or Manhattan Beach office.